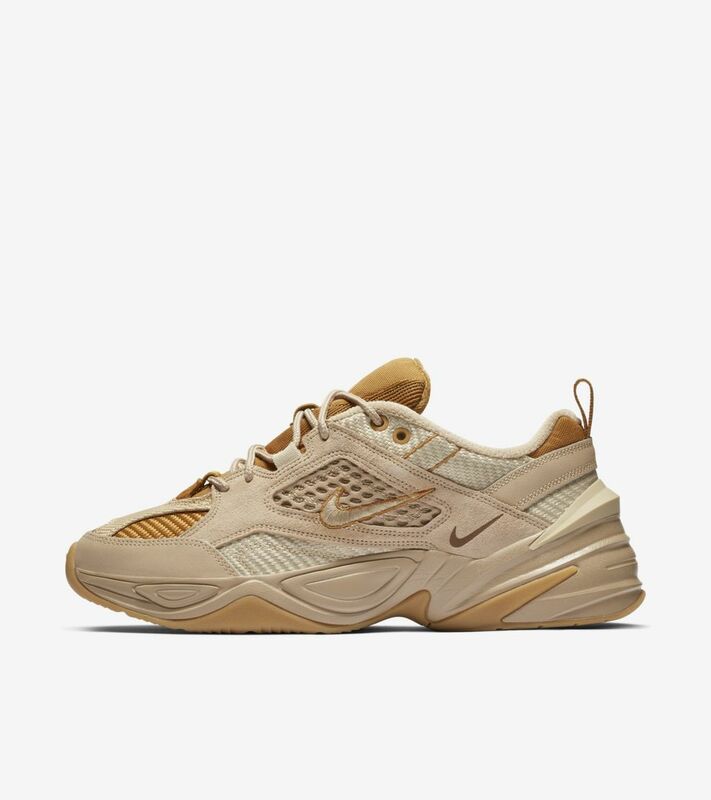 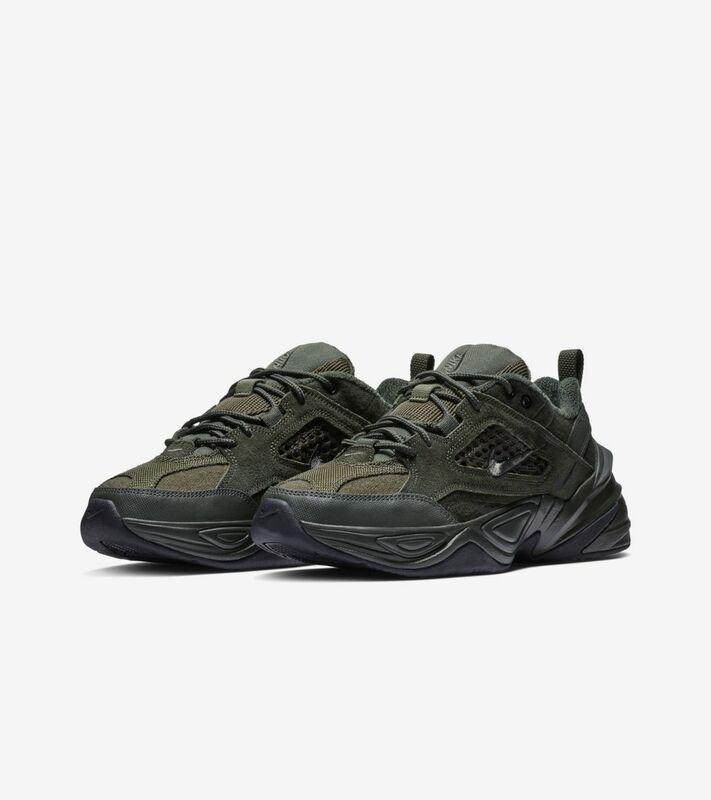 The M2K Tekno pays homage to Monarch history by mixing elements of its DNA and giving the “chunky” design a modern edge. 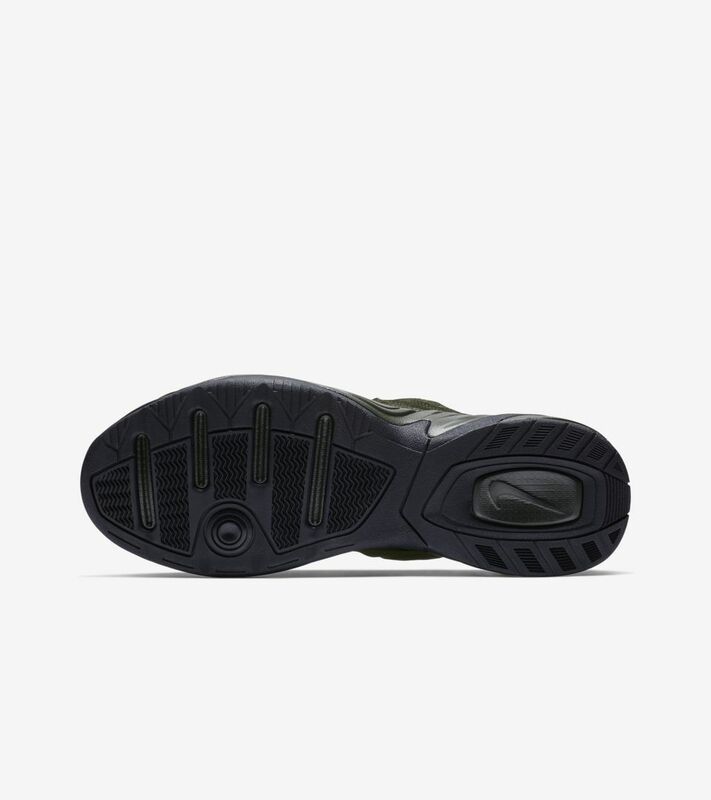 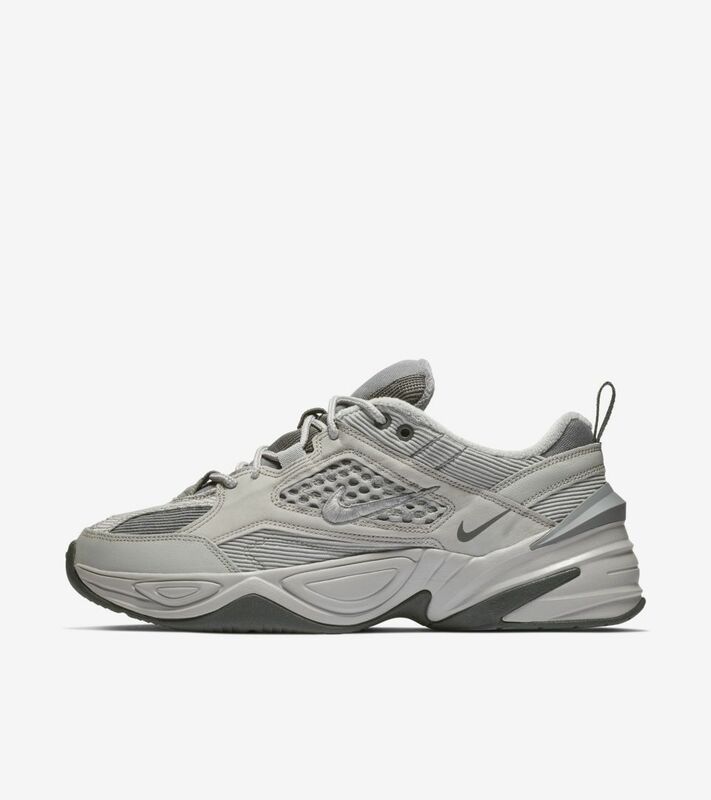 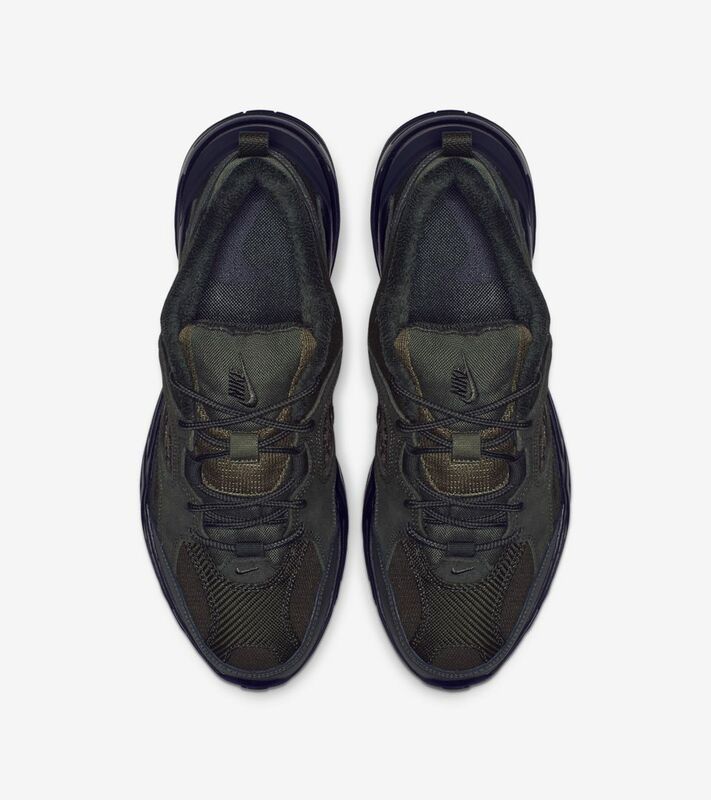 This augmented style is anchored by its lightweight foam midsole for plush cushioning and is complemented with new Swoosh executions. 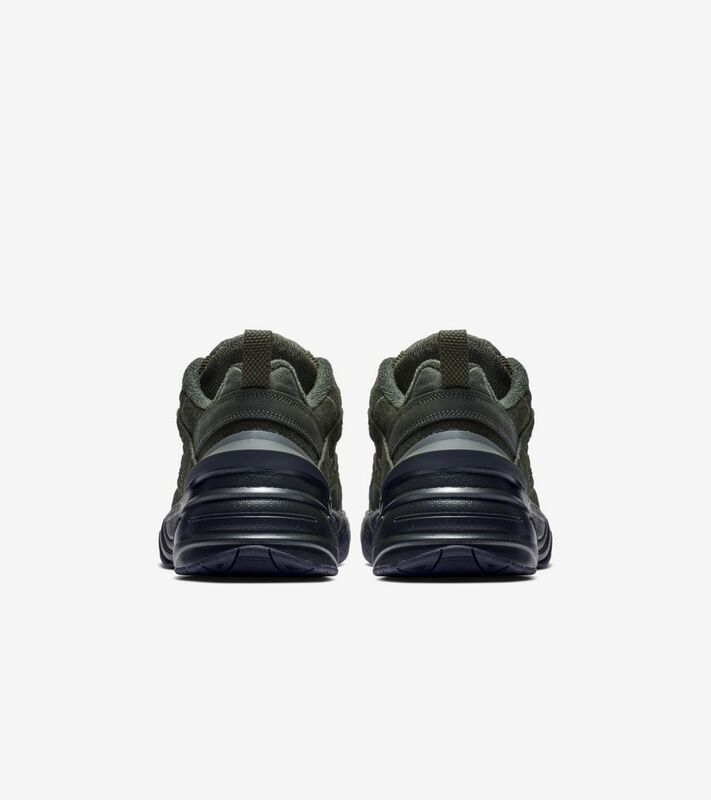 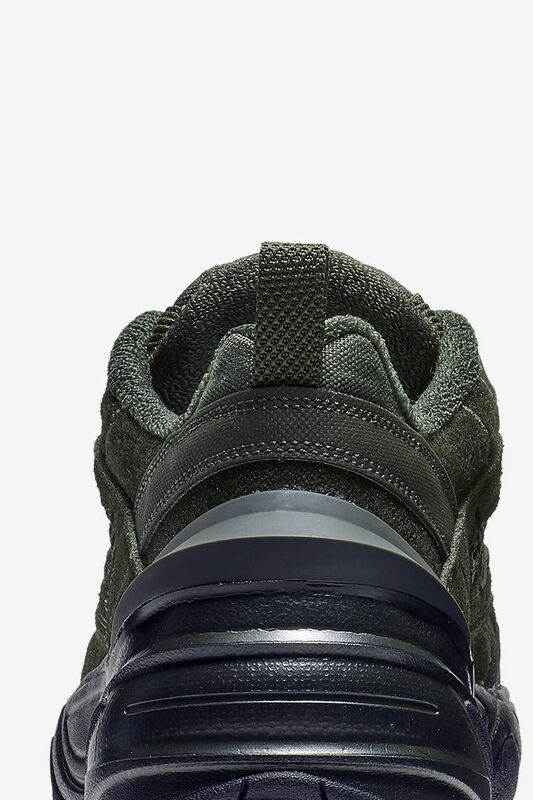 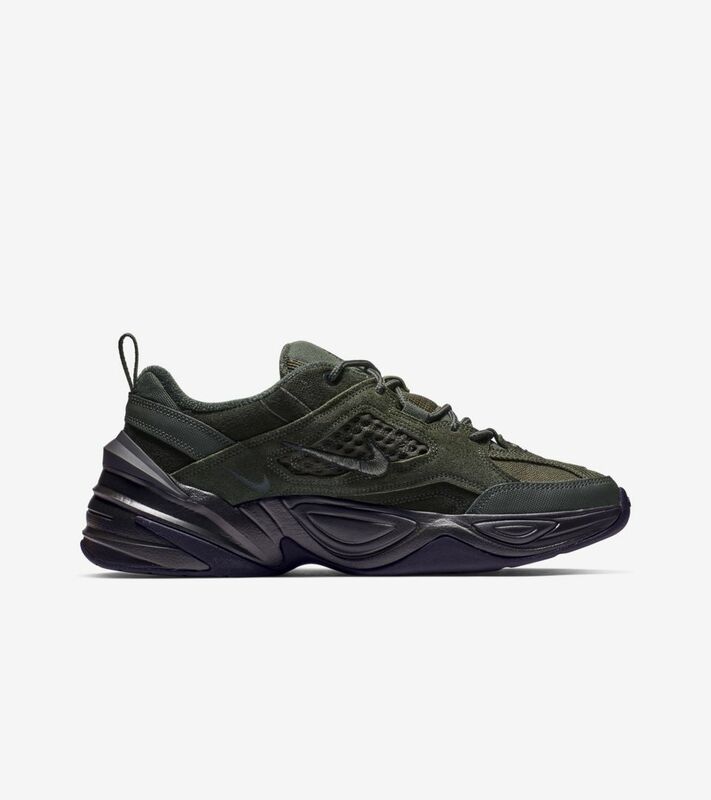 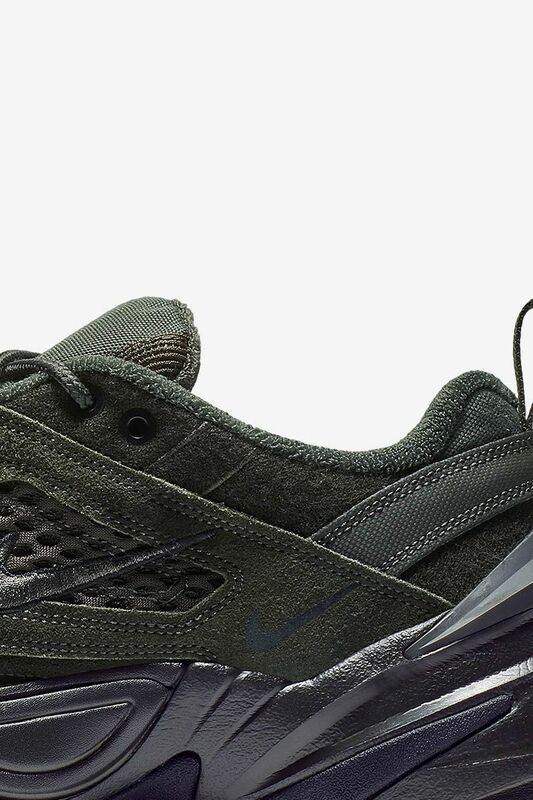 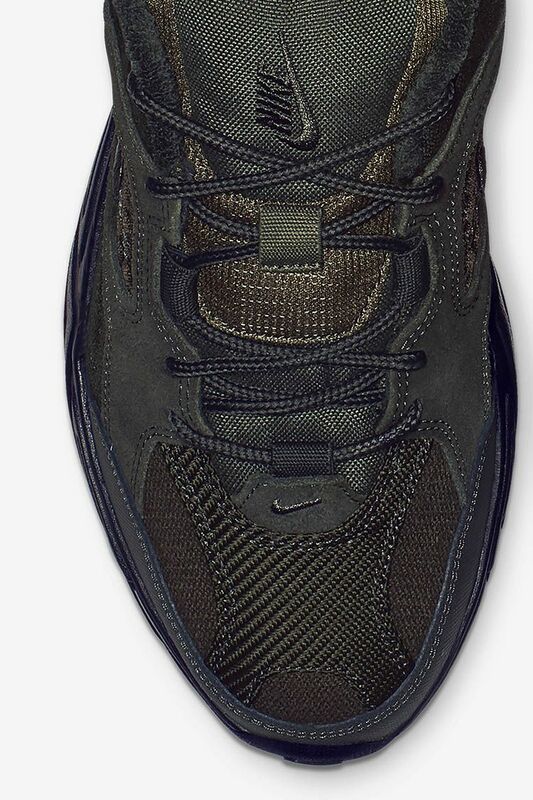 Now available in an olive colorway with a black midsole.